Windows 8 will have a new feature called Portable Workspace. Using this feature you can run Windows 8 from a USB storage device like pen drive, external hard disk etc. A minimum 16 GB storage device is required to use this feature. With this feature you will be able to carry your windows 8 with yourself anywhere you go. 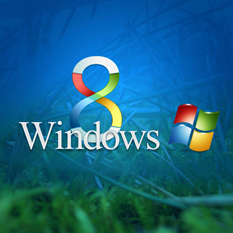 Thus you can use your windows 8, your applications, documents, workspace etc on different computers also.